The vast number of collectors of fashion dolls are also sellers of fashion dolls. Some people are retailers as well as collectors, but the main reason people sell is to generate funds for the market’s newest shiny objects. Fashion doll collectors are a notoriously fickle lot. What they are scrimping and saving to buy today, they are selling at half-off tomorrow to buy something new. In recent years, I’ve seen collections turn from vinyl to resin seemingly overnight. Although my own collection has undergone a similar transformation, I tend to be a hanger-on to dolls no longer in vogue while my collector friends march on ahead of me to the next trend. And yet, in the two decades I’ve been in this hobby, the hundreds of Barbies that once populated my shelves have given way to Tyler and Co. and many of her 16-inch sisters. Child dolls created by Annette Himstedt, Jan McLean, and Helen Kish also adorn my doll room. I’ve even returned to the 12-inch crowd in the form of the occasional Fashion Royalty gal who joins the ranks. In all, I probably have about a dozen Barbies left—out of the hundreds that once populated my mini-Mattel Altar of Pink. Now Tonner’s fashion dolls—and even the occasional Silkstone Barbie—still make their way into my home. I still purchase more Tonner dolls than any other. With the possible exception of Paul Pham, I think Robert Tonner continues to corner the market on beautifully realistic facial sculpts. And, of course, I do not have to sell a kidney to afford a Tonner doll. But when a gorgeous resin BJD does turn my head and I “have to have” her, there usually isn’t an extra $600 floating around in my bank account. So the rows of girls currently lining my shelves cower in fear as I contemplate how much each is worth and who to vote off Dolly Island. But turning those dollies destined for new homes into cash is no easy proposition. It’s not that there aren’t potential buyers out there—there are plenty. The question is how to reach them and entice them to buy your goods. So below is a brief primer on how to sell a fashion doll in today’s secondary market—even if you have to do it on EvilBay. Rule #1: Treat eBay as a last resort. The first rule of selling on eBay is to avoid eBay at all costs. Long-time eBay sellers will tell you that the world’s largest flea market has become incredibly hostile to sellers to the point that their sales have become entirely dependent on the good will of their buyers—which is often in scant supply. Over the years, eBay has slowly chipped away at any recourse sellers once had against dishonest—and sometimes outright criminal—buyers. 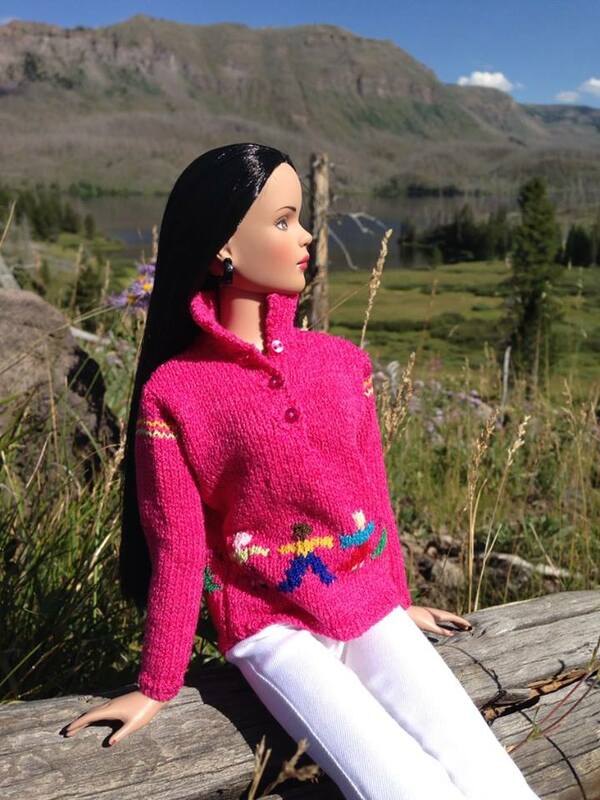 And we are not talking nickles and dimes here—high-end fashion dolls can be quite pricey. Listing eBay’s sins against buyers would take up more space than I care to dedicate in this column, but suffice it to say that the company now compels sellers to accept returns from buyers for any reason and to pay the buyer’s return shipping on top of that. Oh, and your seller rating will suffer as well. I once had to accept a return from a buyer for a baby doll that the buyer claimed was defective because the baby doll would not stand up. I paid return shipping and had my nine-year-running 100% rating downgraded. Because this woman expected a baby to stand up. Yes, it’s gotten that ridiculous. And the fees have quadrupled since I joined eBay in 2004. The company now cheerfully takes a whopping 10% cut of your sales in return for its stellar customer service. And, of course, eBay also owns Paypal, and, since sellers are required to conduct their transactions through Paypal, they too can raise their transaction rates at will. It’s like paying to be mugged—twice—with each transaction. And until a viable competitor arises, those double fees are going nowhere but up. Rule #2: Explore alternative selling venues. So before heading to eBay with your precious dollies, exhaust all other resources. They do exist, and they can work well. Sellers on doll boards not only avoid eBay’s headaches and fees, selling within the doll community also often means dealing with a much more honest group of people. Over the past ten years, I’ve had two doll deals conducted on doll boards go bad. On eBay, I’ve lost count. Doll boards do a terrific job at policing their own communities. Buyers and sellers know that if they screw one person, their names quickly become mud as their identities spread like wildfire across the dolly universe. And it’s not a large group of people we’re talking about, so it’s not difficult to ruin your reputation across multiple boards after a deal gone bad on just one board. As I’ve said before, you don’t want to f*** with doll collectors. When searching for venues for selling your dolls, don’t just limit yourself to your local doll message board. Collectors have set up swapping/selling/trading Facebook pages specifically for collectors of specific dolls. Mister Dollface, a new collector-run secondary marketplace, has gotten off to a good start. I’ve had some very smooth transactions on both Facebook and Mister Dollface, although not without first doing my due diligence. Honest buyers/sellers should always be happy to provide good references. Use caution and common sense before approaching any deal—particularly a pricey one. And speaking of pricing, keep in mind that when you are selling off eBay, you are saving yourself not only the hefty eBay fees, but also a potentially significant amount of pain and suffering. So when pricing items for sale on a doll board, Facebook, or Mister Dollface, I start with what I think the doll will sell for on eBay, deduct eBay’s 10% fee, and then take another 5%-10% off for avoiding what I call eBay’s general “pain and suffering.” So if the doll sells, it’s ultimately not for much less than I would have gotten on eBay, and the savings is passed on to the buyer. Everybody wins. Rule #3: Do your homework. Rule #4: Price to sell. I’m not exaggerating when I say that about 75% of the fashion doll auctions currently listed on eBay are priced in the upper stratosphere of the market. I’m sorry, but an unremarkable mint Tyler Wentworth doll from the 2006 line is not going to fetch you $249. No matter how many times you renew your auction. The optimism I see in such auctions is truly stunning to behold. And it gives people like me a chance. Sellers who know how to price, sell. And they can sell high. One weekly reseller of mostly Tonner products lists each item on eBay at $9.99. And her items often fetch top dollar. But sometimes they don’t. Pricing competitively also means taking a risk. How much of a risk is, of course, up to you. But whatever you decide, do yourself a favor and don’t price your item in the dark. Do your homework. Researching price is one thing eBay does make ridiculously easy. A simple advanced search of completed listings will tell you what amounts your item has fetched in the recent past. And it will likely give you a longer list of overly enthusiastic prices that bidders have passed on—repeatedly. My own strategy is to take the average winning bid and price somewhat below that. How much below? Here comes the gambling part. Simple psychology will tell you that bidders are more likely to bid an item up if the starting price is low. That’s why an item with a starting bid of $29.99 may ultimately go for $225, while the same item listed at a BIN of $225 will linger unpurchased indefinitely. When bidders see a $29.99 starting bid for an item worth eight times as much, they are more likely to take a gamble to get a “deal,” even if they ultimately end up paying the same price as a fully priced item. Thrill of the hunt and all that. So let’s say I have a doll that I wish to sell on eBay. I research past prices and find a high-selling price of $150 and a low-selling price of $100. So I list the item at $75, which will hopefully make the item attractive to bargain-hunters hoping to score a deal. The risk, of course, is that bidding will stop at $75, and I will end up low-balling myself. The rosiest outlook is that I will start a bidding war and the auction will close on the high end—or beyond. Pricing the item very low, say, at $9.99, can attract a good number of bargain hunters and ultimately drive your item sky-high as bidders lose their collective heads in the auction’s waning moments. But, like all bets, don’t count on it. It does happen. But not always. Rule #5: Take damned good pictures. Following this simple rule will put you heads and shoulders above your eBay competition. Nothing—and I mean nothing—can make your item more attractive to potential buyers than a few decent photographs showing the item to its best advantage. This especially holds true today, given that most bidders no longer bother with actually reading the item description at all. I have scored more than a few bargains on eBay by bidding on poorly photographed items that I knew to be valuable. And I have sold at higher-than-market prices items that I managed to photograph particularly well. You don’t have to be a gifted photographer to make your item visually attractive to potential bidders. Just light your item well, take crisp, clear images, and highlight those little details (shoes, earrings, embroidery) that make your item worth its asking price. This is the best no-brainer advice I can give you on achieving eBay selling success. eBay’s never-ending slew of policies hostile to buyers has put on the onus on us to protect ourselves. Of course, there is only so much we can do within the eBay universe, but some proactive measures may shield us from potential problems before they begin. First, try to protect yourself from well-publicized “past offenders.” Many doll boards will keep lists of the eBay IDs of dishonest buyers and sellers, and those lists are often updated frequently as IDs are changed and new scammers emerge. Adding these individuals to your “blocked bidders” list on eBay may provide you with some measure of protection. Also pay attention to your auction “boilerplate,” which should detail your terms of sale. eBay will not enforce any of these terms, of course, but there is the off chance that a bidder will actually read your description and police him/herself. Terms in my own boilerplate include “final sale,” “no full or partial returns,” “please ask all questions before bidding,” and “payment expected within three days.” Again, non-enforceable, but there’s the off chance someone may read it. Rule #7: Use eBay “services” as little as possible. 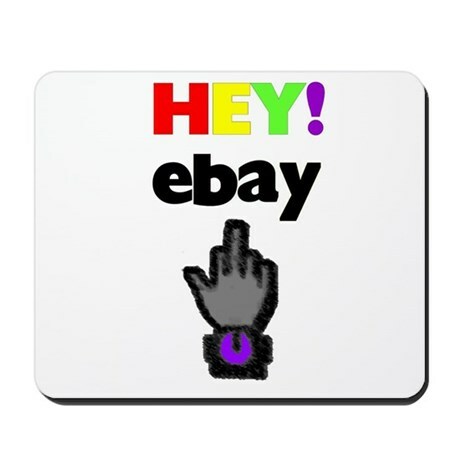 Over the years, eBay has multiplied its convenient seller “options” that exploit its ability to rob you of more of your already-miniscule earnings. All-inclusive international shipping services are but one. Avoid these like the plague. I’ve always avoided squabbles over shipping fees but simply offering flat rates. Sometimes this works in my favor, sometimes not. But it all generally works out in the end, saving both me and the buyer much unnecessary grief. The buyer is under no illusions as to what the shipping costs will be, and it is much, much easier on my end. And my educated guesses are usually pretty accurate. For example, for an average-sized Tonner doll box, I’ll usually charge about $13, and the actual costs, nation-wide, generally fall into that range.